ARRRR! We Hope Ye Be Talking Like A Pirate Today! Calling all ye scallywags! 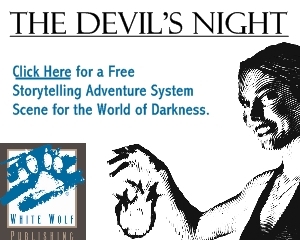 Thar be a sale on this weekend on PDF downloads of some really fine games. But before ye click on over to see the RPGNow Talk Like A Pirate Day sale, you might want to stick around some. We’re sittin’ up, takin’ into account that you might think pirates are happy creatures that float around the deep, blue sea and never, ever walk the plank. We’re here to tell ye that yer wrong. Dead wrong. Part of that sale we mentioned, are some characters so questionable ye might want to keep lookin’ over your shoulder. In Buccaneers of Freeport from Green Ronin, you not only got yer pirates…you got yer orc pirates, vengeful elf maidens, evil ships and more. Ye heard me right, but that’s what you get when you ask for trouble. If you don’t want any (trouble that is) be sure to order yerself a copy of Pirates Guide To Freeport. While we can’t guarantee it’ll keep you out of trouble, it’s shore better than not knowin’ what you’re gettin’ into. Of course, we think ye should think about puttin’ in some music that portrays our darker natures. You know, to really set the mood for some terrible tales. 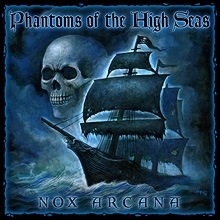 Phantom of the High Seas by Nox Arcana is a fine collection of songs, to be told. Inspired by some of our finest songs, this musical wonder really put their heart into showing off the creepy crawlies that lurk beneath the smooth surface of the sea. Whether you decide to sail off into Oblivion or visit the Lords of the Deep, ye might want to pay special attention to the warnings hidden in this haunted selection of musical tales. Did you know that the undead often lurks among our crews? The Vampirates series combines those blood-sucking monsters with tales of the sea. 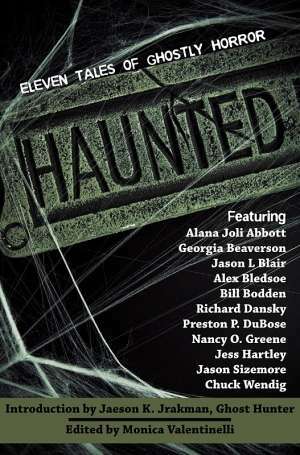 Why not check out Vampirates: Tide of Terror to get a taste for dark adventures? If that one doesn’t meet yer fancy, there’s always Vampirates: Blood Captain, too. They’re both available at a fine price, to be certain. And as every pirate knows, these e-books can’t get wet on yer boat. If you have a taste for dark tales, you might want to invest your coins in The Black Witch, a terrible tale of secrets, revenge and slavery that’s set in 1718. 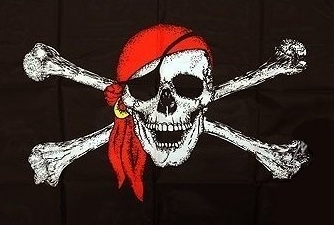 Imagine if yer heart was ripped out by none other than Blackbeard himself! You’d be cryin’, too…right before yer heart’d turn black from vengeful notions. Hark? Do ye hear that? Sounds like ole Henry done spotted a ship comin’ out of the fog. While it be time for us to go, don’t forget to stay a little while. Last year’s parchment about Talk Like A Pirate day may be off your navigational charts, but today’s as good a day as any to check it out. Now if you’ll excuse us, matey…it’s time for some good, old-fashioned piratin’.